Since you are a beginner, you will want to choose an application that's as easy-to-use as possible. Of course, the app shouldn't do that by sacrificing its design abilities. You need a piece of software that can unleash its power progressively, as you learn more and more of its inner secrets. 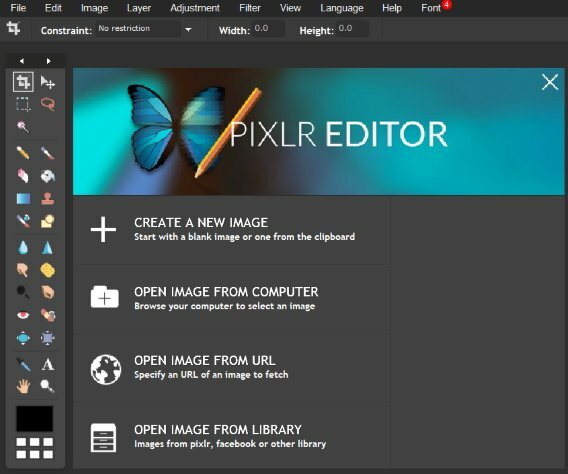 And when it comes to user interface design, I strongly believe that many software developers could learn quite a few things from Pixlr, for example. Many people begin their designer careers by playing with simple photo editing software. Paint.net is one of the best examples. It has got tools that help you add some effects to your images, overlay some text onto them, but that's pretty much it. With "real" graphics design software, you should be able to build anything that crosses your mind, starting with business cards, and going all the way up to complex publications. A good software suite will offer tools that help you enhance photos, as well as illustration tools, which will help you create ads, posters, logos, and much more. Of course, if you plan to tweak various images and graphics, you should choose a software package that has got lots of photo filters. Don't forget about printing! It would be a pity to design a fantastic poster, and then be unable to print it properly, because your application can't output to the CMYK color model. Prepress support is also crucial. If your software includes it, you will get notified about any potential problems before the document is sent to the printer. What about format compatibility? For best results, you will want your graphics design suite to be able to export and import a great variety of file formats. Sadly, cheaper software will not be able to export to the formats that are native to their much more expensive counterparts. And even when file export and import are possible, the number of options is limited. So, with these things in mind, what is the best graphics design software? If you've got the money, CorelDRAW is definitely the industry leader. If cash is an issue, you can choose Paint Shop Pro or Affinity Designer. Believe it or not, these programs have similar features, including the much-needed support for vectors.